The dynamic chapbook series from Simon Pole, author of The Saga of Terminal City. No. 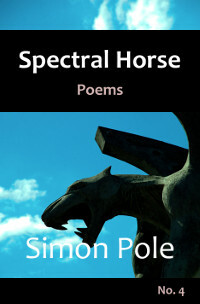 6 in the Spectral Horse chapbook series from Simon Pole, author of The Saga of Terminal City. Poems about the march of life and death, in war, on the freeways, at the end of earthly things, and beyond. Also musings on the professional lives of barbers, the proclamations of angels, and arguments for the existence of God. Includes the complete sci-fi verse novella, The Planet’s Tale, in 45 stanzas. No. 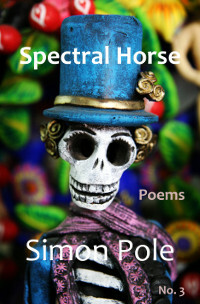 5 in the Spectral Horse chapbook series from Simon Pole, author of The Saga of Terminal City. More poems about undiscovered countries, love in confusing times, events at the Red Sea told from the point of view of Pharoah’s army, and the proprietorship of bathtubs. Includes two long poems in blank verse, and their engrossing stories. 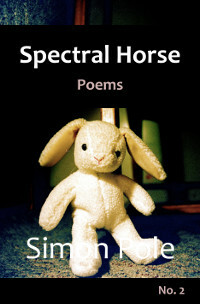 No.4 in the Spectral Horse chapbook series from Simon Pole, author of The Saga of Terminal City. More poems about the Last Supper, Modern Warfare, the Second Coming, Viking Kings, Wicked Tories and our Dreams, all written in modern rhyming and musical verse, as well as the sonnet form. Includes the complete verse novella, Ella and Eidelvard in 43 stanzas. 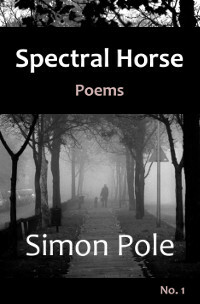 No.3 in the Spectral Horse chapbook series from Simon Pole, author of The Saga of Terminal City. More poems about God, paratroopers, vampires, and tetrapods. Sonnets, songs, poems long and short in rhyming and blank verse. Includes the complete verse novella, The August Vampeer, in 40 stanzas. No. 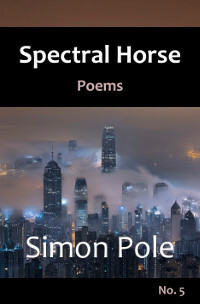 2 in the Spectral Horse chapbook series from Simon Pole, author of The Saga Terminal City. Poems about God, poems about The Ramones. 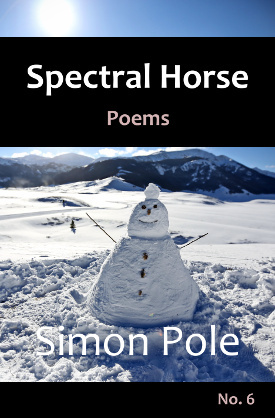 Long poems, short poems, sonnets and narrative verse—find it all in Spectral Horse Poems No.1, the first in a new series of chapbooks from Simon Pole, author of The Saga of Terminal City. A must-have for lovers of modern rhyming and blank verse.